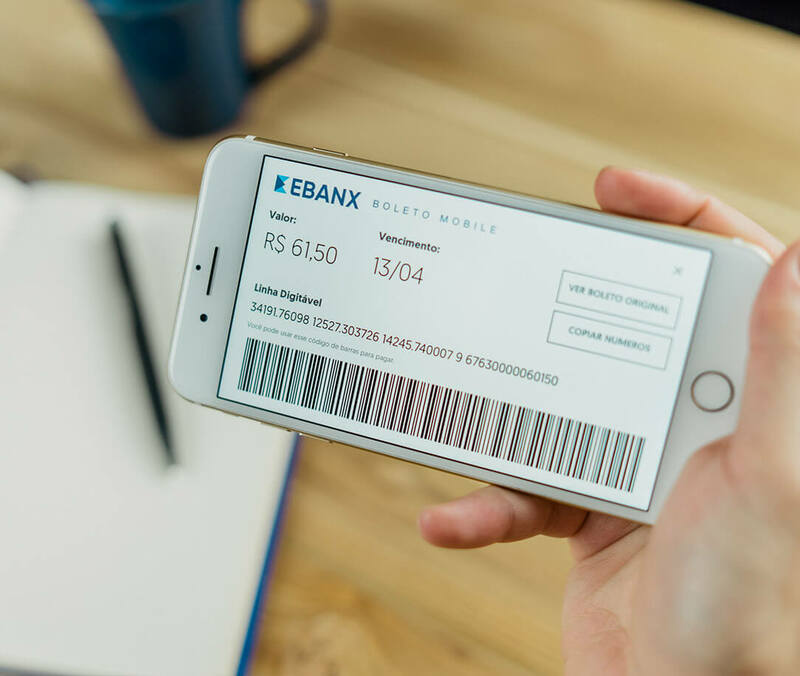 Retail merchants and those who offer physical goods can reach the entire population in Brazil and increase their sales by accepting Boleto Bancário, a chargeback-free payment method in Brazil. The Boleto Bancário is a printable voucher that Brazilians use to pay for their monthly bills, such as water and energy, or even governmental taxes or fines, and has become one of the preferred payment methods for online purchases in Brazil. Customers can pay the boleto in cash in more than 200K payment locations, or through internet banking. Customer selects the Boleto Bancario as payment method in checkout. 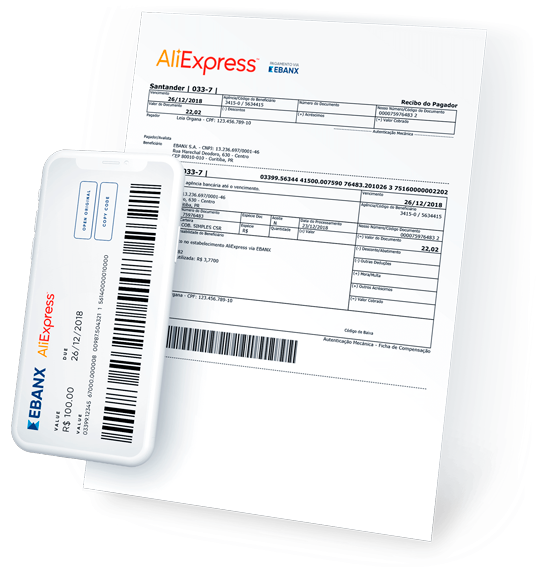 A voucher with a barcode is generated for the customer to either print, copy the barcode number or scan it with their phone. Customer pays it in cash in over 200K locations, through internet banking or via the bank's mobile app. of Brazilians who pay online with boleto do have a checking account. This shows that using this voucher is a matter of preference rather than a necessity. of them pay with boleto because they fear credit card fraud. The EBANX Boleto is an exclusive version of the standard boleto bancario with features created to help merchants increase conversions. 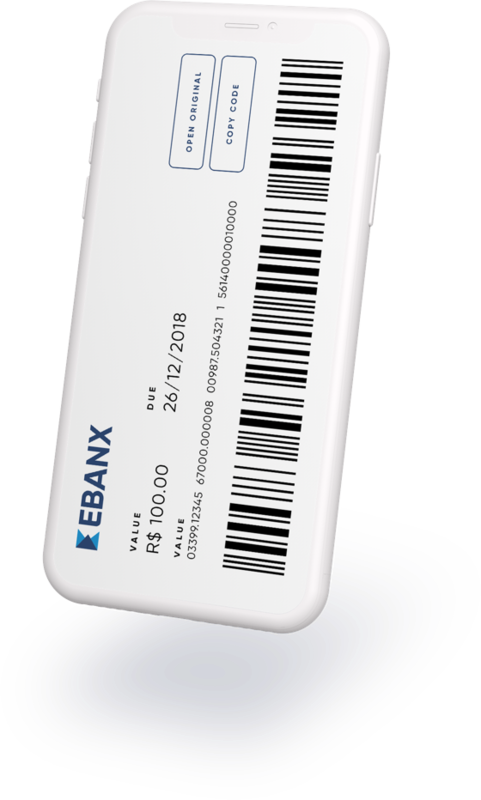 Scannable and copyable barcode number, so the customer can easily paste the number on their internet banking or open it directly on their banks' app. Your company's name on the voucher, to increase trust among your customers. Voucher Payment Method in Brazil (Boleto Bancário) is only available for retail Merchants or Merchants who offer any kind of physical goods. But don't worry, if your business is focused on Digital Goods or Services, EBANX can offer other local payment methods instead of Boleto in the country. Know more about Local Cards and Online Alternatives. Thinking of increasing mobile conversions, EBANX improved the mobile user experience by creating a boleto 100% optimized for mobile devices. In the mobile version, only the essential payment details are shown, increasing the loading speed and offering the customer a seamless paying experience. Ready to start selling in Brazil with local payment methods? 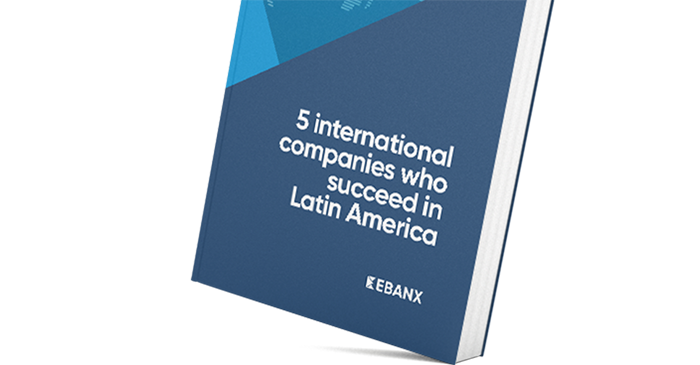 Find out more payment methods that have a process similar to boleto bancario's in other Latin American countries.